Now many customers often wonder many problems before & after purchasing. 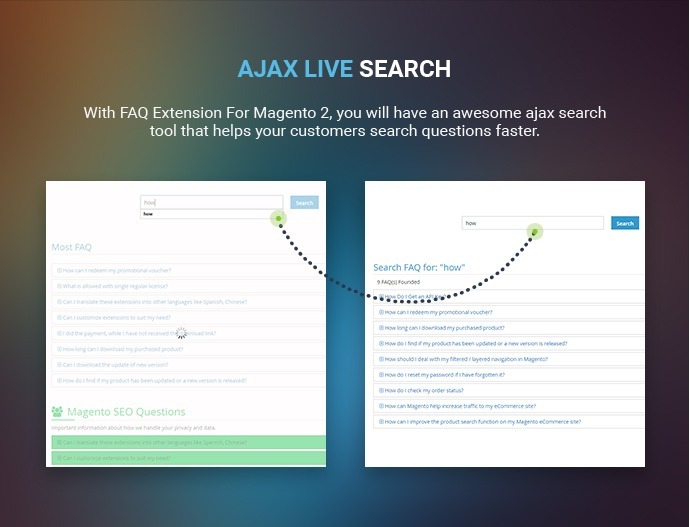 They want all answers will be responded quickly, and FAQ Extension For Magento 2 is the solution for the problem. 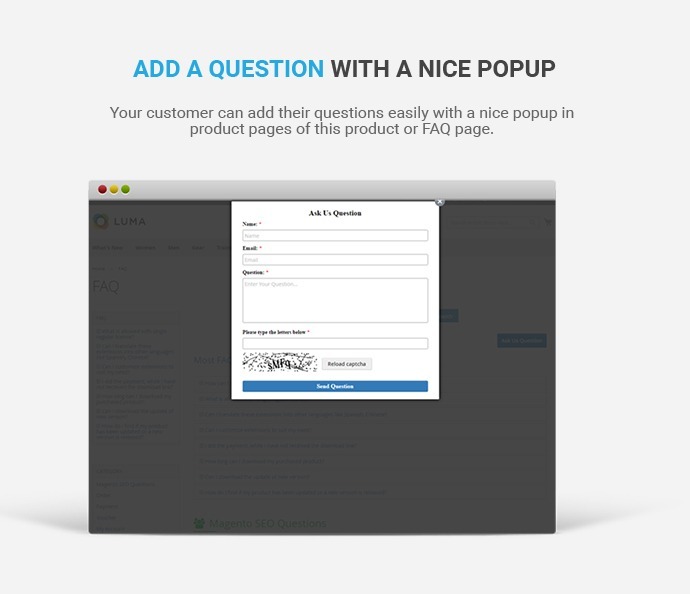 It brings to your customers a list of the questions and answers about products in the fastest way. 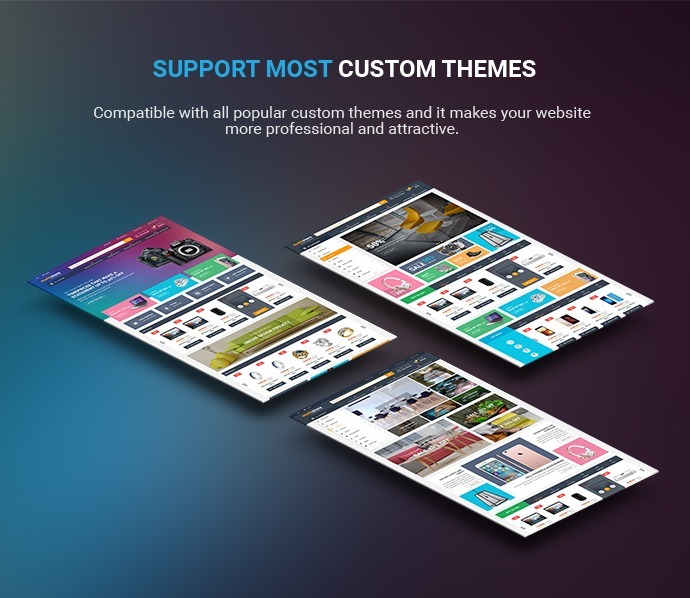 + Easy to install and customize. + Save time in support customer because many answers are available. 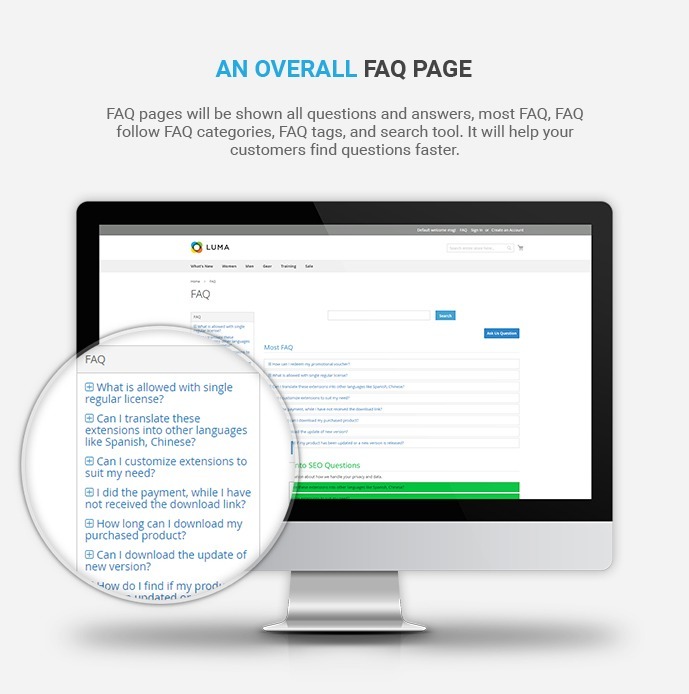 + Find their answer quickly in FAQ pages, detail page, a sidebar of the category. + Just click "Ask us question" button to send a question directly to admin. + Give the fast decision. 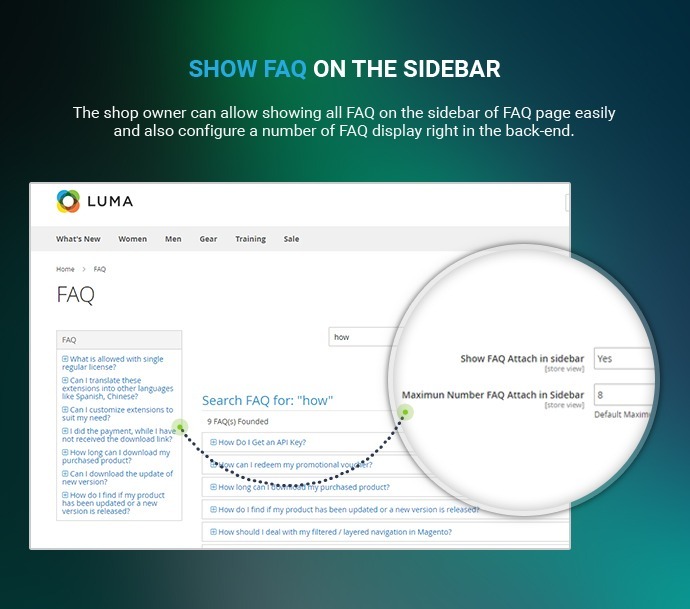 Step 2: Find FAQ: You can go to three pages as such: FAQ page in header and footer, FAQ tab in product page and FAQ on the sidebar of the category page. 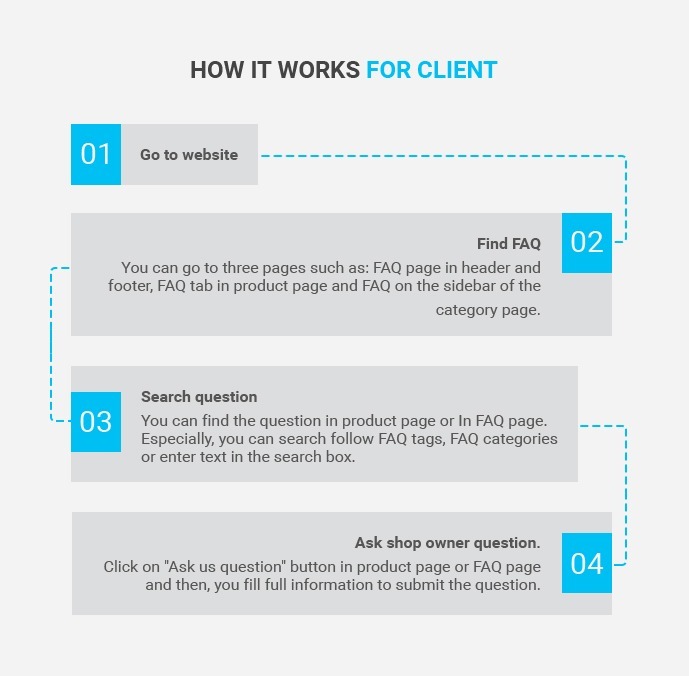 Step 3: Search question: You can find the question in product page or In FAQ page. Especially, you can search follow FAQ tags, FAQ categories or enter text in the search box. 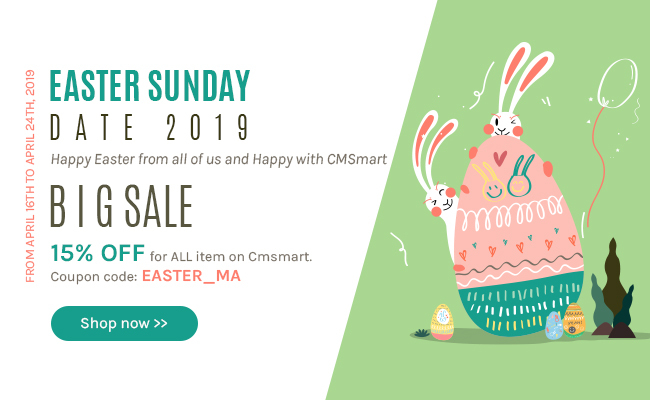 Step 4: Ask shop owner question: Click on "Ask us question" button in product page or FAQ page and then, you fill full information to submit the question. Step 2.FAQ Management: You click on FAQ EXTENSION -> Manage FAQ -> click on Add New FAQ or select a FAQ to edit. You can add/edit/delete all FAQ. Remembering Save after each change. 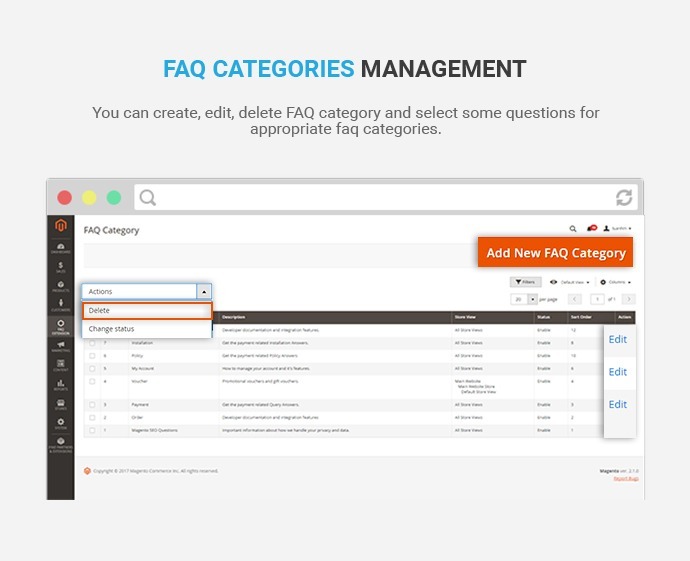 Step 3.FAQ Categories Management: You click on FAQ EXTENSION -> Manage FAQ Category -> click on Add New FAQ Category or select a FAQ Category to edit. You can add/edit/delete all FAQ Category. Remembering Save after each change. 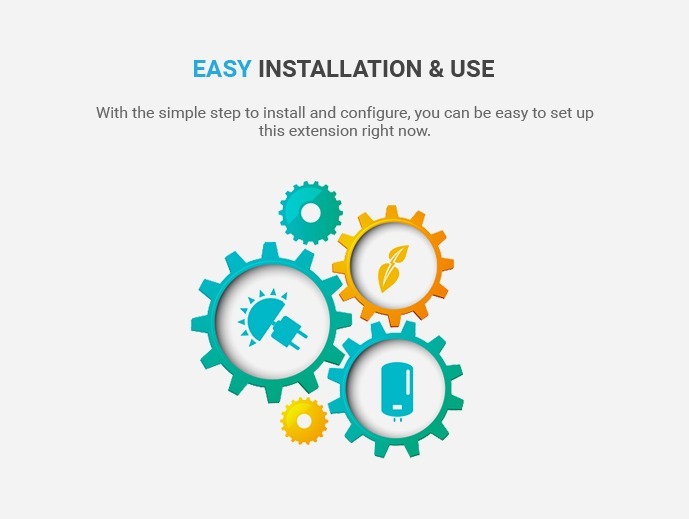 Step 4.Configure extension: In admin panel, you click on FAQ EXTENSION -> Setting and setting something here. Remembering Save Config after each change. 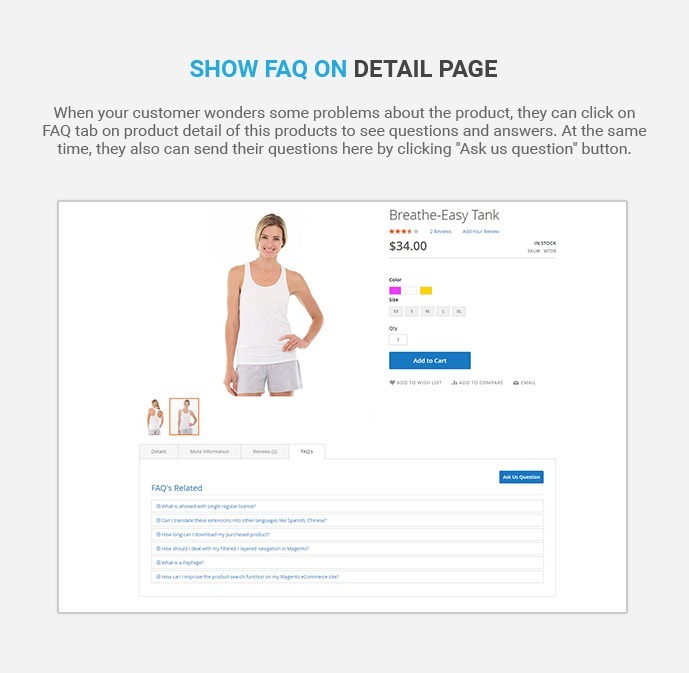 Show FAQ on detail page: When your customer wonders some problems about the product, they can click on FAQ tab on product detail of this products to see questions and answers. At the same time, they also can send their questions here by clicking "Ask us question" button. 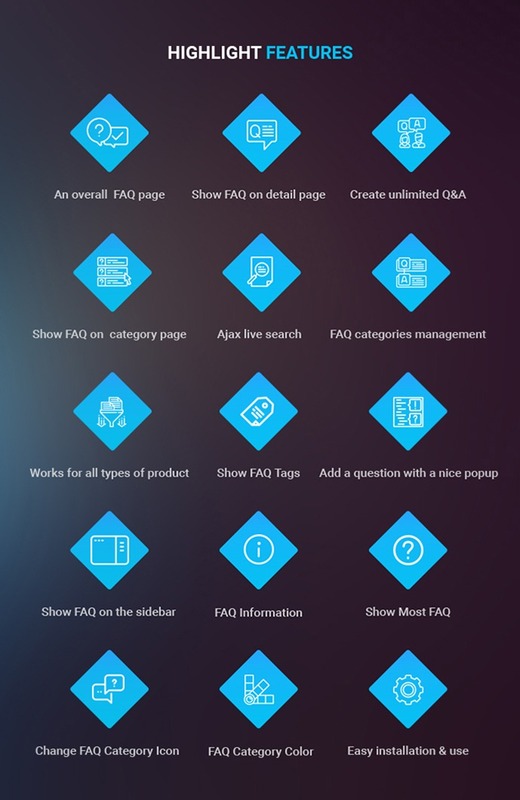 Show FAQ Tags: You can allow to show FAQ tags easily and based on FAQ tags, you can find the question and answer in the fastest way. 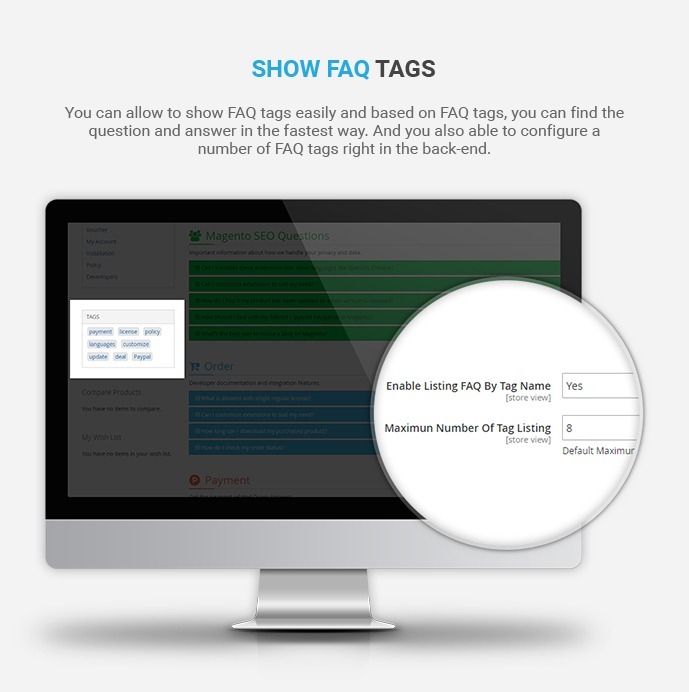 And you also able to configure a number of FAQ tags right in the back-end. 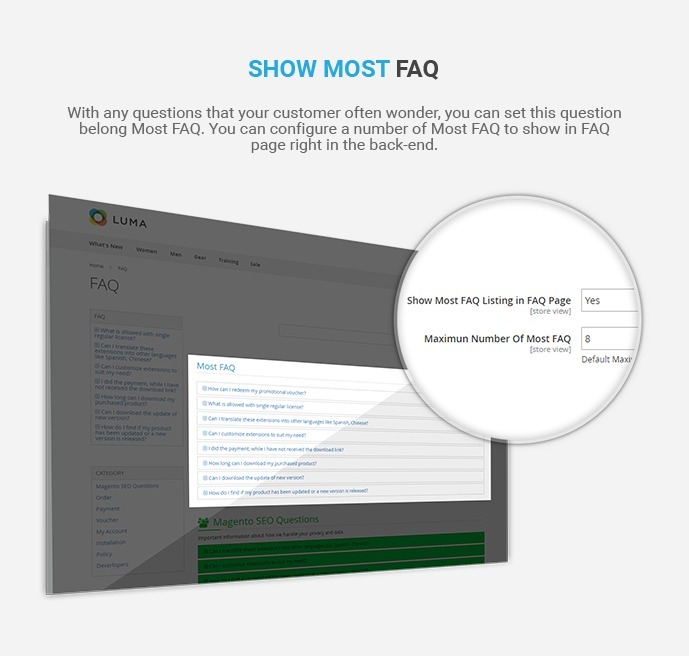 Show Most FAQ: With any questions that your customer often wonder, you can set this question belong Most FAQ. You can configure a number of Most FAQ to show in FAQ page right in the back-end. 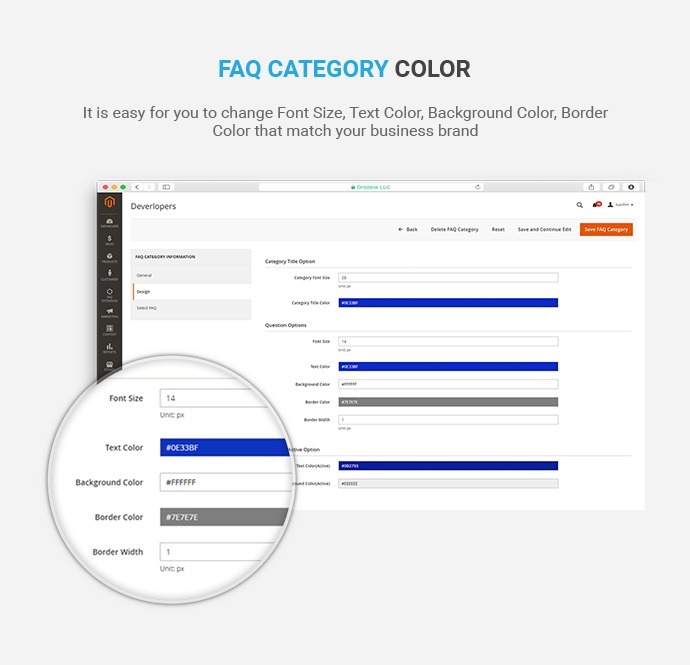 FAQ Category Color: It is easy for you to change Font Size, Text Color, Background Color, Border Color that match your business brand. 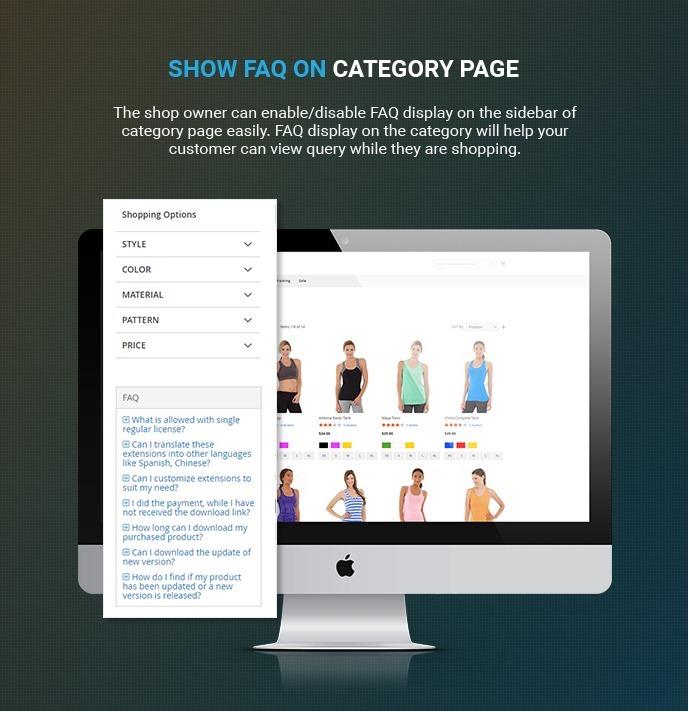 Where can I enable/ disable FAQ extension for Magento 2 on the category page? How many questions can be created with this extension? You can create unlimited Q&A. How can I create, edit or delete the Q&A? 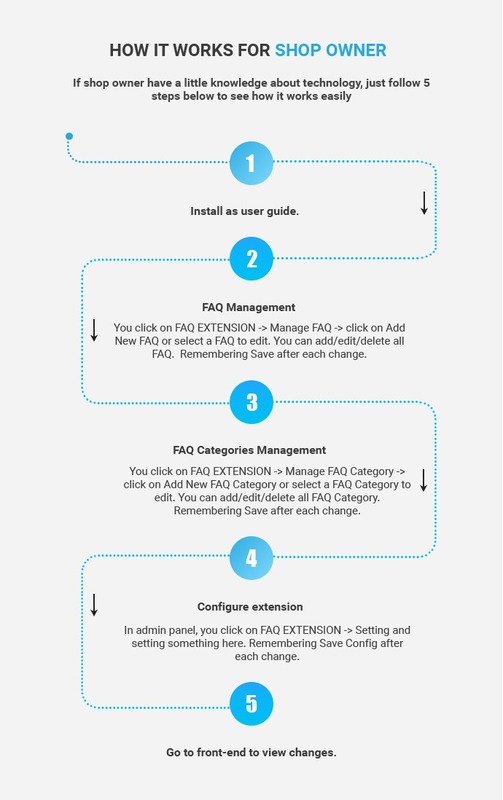 Please go to the back-end, choose the FAQs Extension/ Manage extension and then choose the Q&A which you want to delete or edit it. 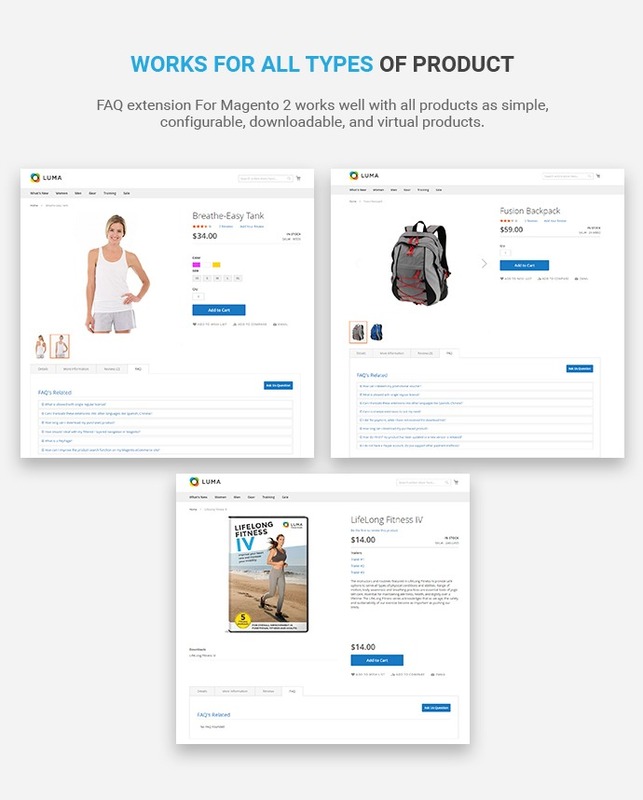 How many types of products does FAQ extension for Magento 2 work? How many questions can I show on the sidebar? Can I enable listing FAQ by tag name? Yes, you can enable or disable the listing FAQ by tag name in the back-end. 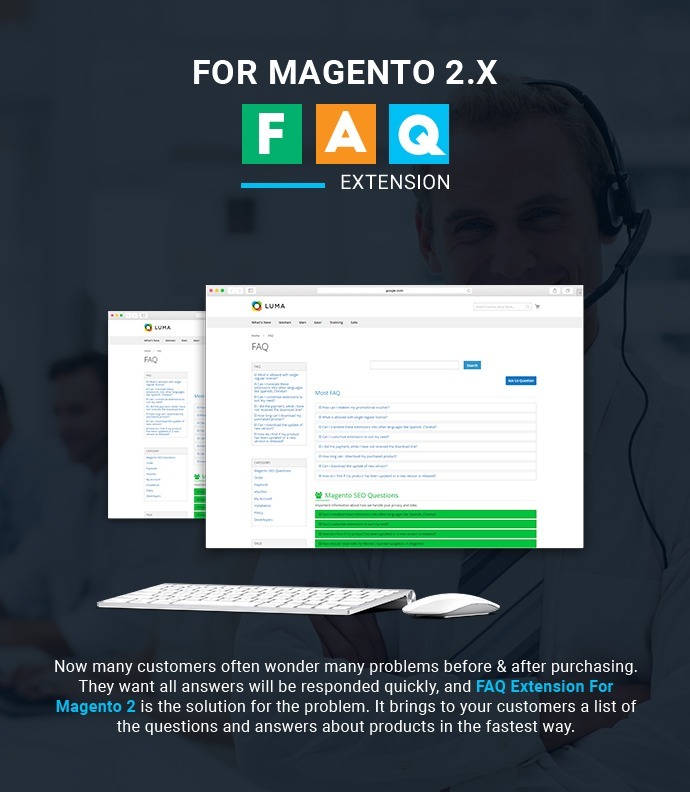 How can I change the color in FAQ extension for Magento 2? Please go to the back-end and change it as the path here: FAQ extension/ FAQs manage category. Where can I edit and hide the FAQ author and created date? 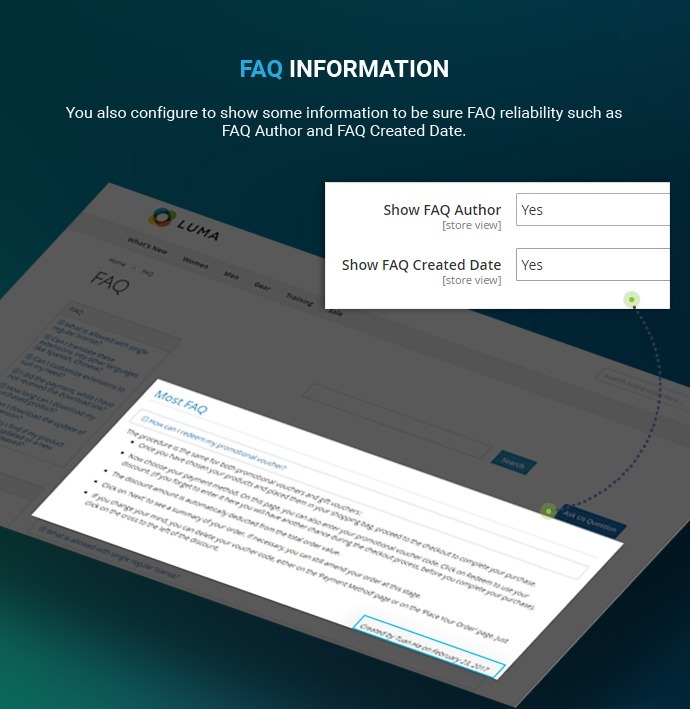 FAQ extension/ setting/ FAQ Page Settings/ Show FAQ Author and Show FAQ Created Date. 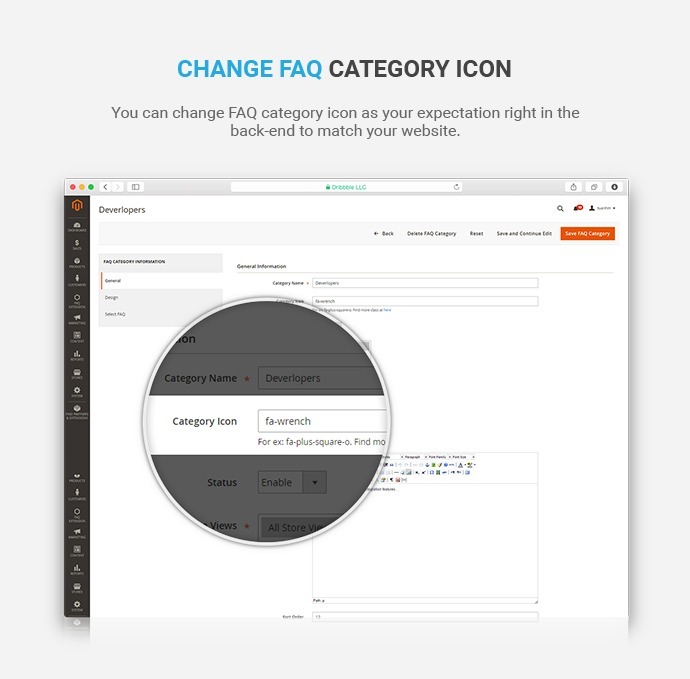 Can I change the FAQ category icon? Yes, you can change it on the back-end of your site.